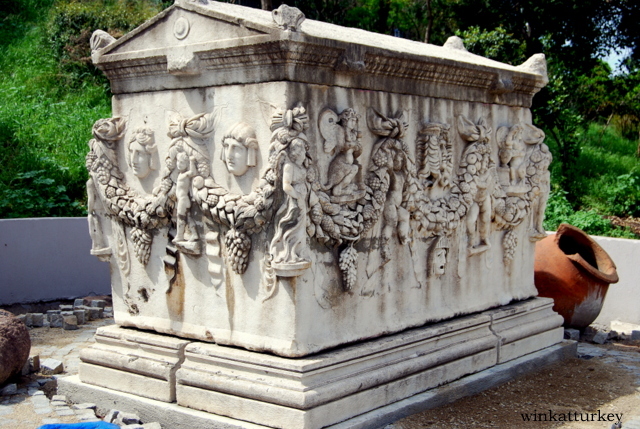 The city of Izmir, formerly known as "Smyrna", has a history of more than 8000 years ago. Many civilizations have been here, from the Hittites to the Ionians, Lycians of the Persians, of the Hellenes and Romans to the Byzantines to the Ottomans. They settled and spread in the province of Izmir. Positioning near Konak, the main square of the city, from which it is easily accessible on foot. You enter the building through the museum gardens, where will find a rich selection of archaeological remains as sarcophagi, capiteles, statues, etc. pertenecientes at different times. 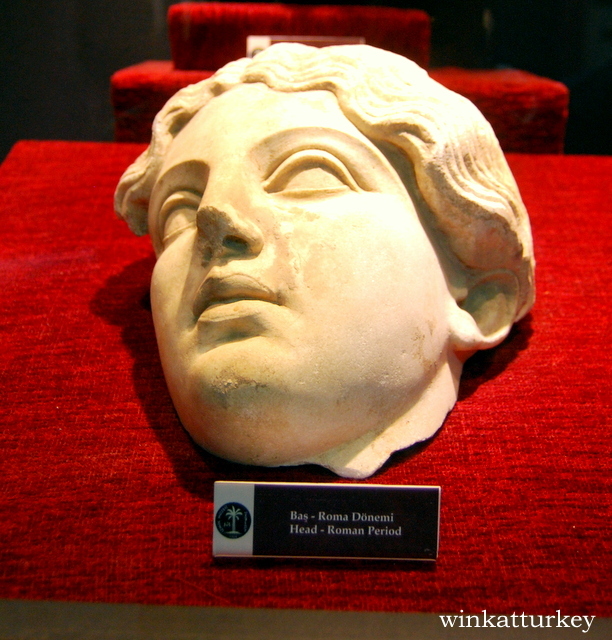 The museum consists of 2 plants, the first floor dedicated to stone sculptures and marble, her statues are displayed, busts, portraits and masks dating from the Hellenistic period to the Roman. Impressive carvings Cibeles, Aphrodite and different deities. One of the most impressive is a statue of a priest of the Roman period Halicarnassus. 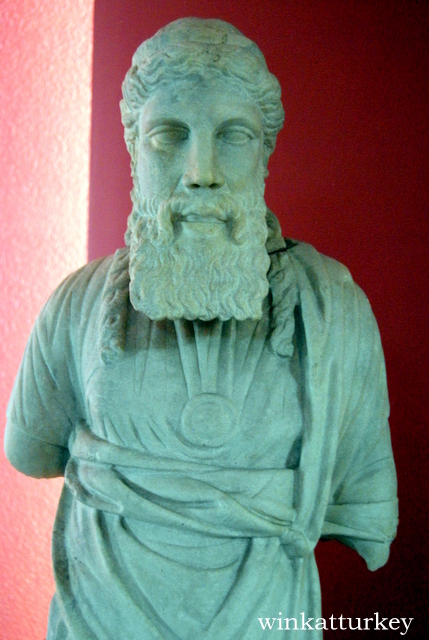 Statue of a Roman priest found Halicarnassus, Bodrum period 20 a.c-395 d.c. 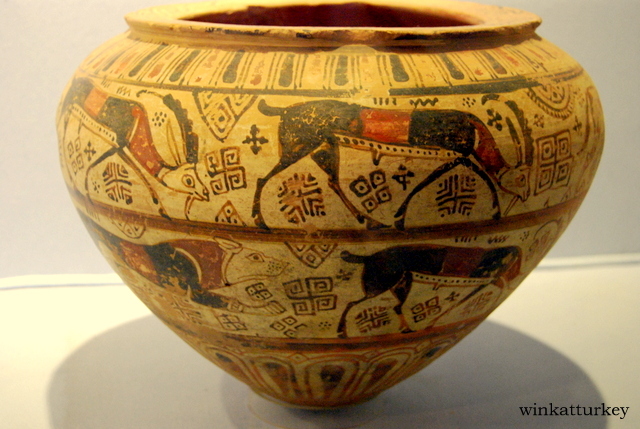 The second floor, presents a large sample of pottery from prehistory to the Byzantine period. The collection of objects from prehistory is really interesting. Tour the museum and contemplate the countless remains found, perfectly preserved, retaining many of them even painting and original color, allows us to make a wonderful trip through our history. Of note on the second floor, bronze sculpture of a corridor of the Hellenistic period, it seems that was dedicated to an athlete who won an Olympics. On the second floor there 2 different rooms, the ceramic and a smaller coins in which are exhibited, different glassware and jewelry belonging to different civilizations. In Winter 8:00 to 17:00. In summer (of 15 April to 1 October), of 8:30 to 19:00. Adults: 8 Tl (3.5 unos Euros). You can access the Museum Card, if you're going to be in Turkey for a while and you're going to visit museums and buildings, I recommend you inform about the Museum Card, paid 30 Tl and has access to all museums. The museum is near the Kemeraltı, you can visit on the same day. Ceremonial vessel early Bronze Age. shame that we have not already gone! Right now we vomos there! I think it's about time! Fail and you go with your parents!